Published: Dec. 30, 2018 at 01:12 p.m. Published: Nov. 22, 2018 at 07:46 p.m. 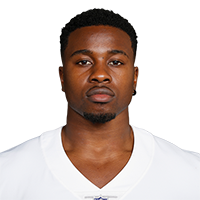 Published: Aug. 18, 2018 at 11:43 p.m.
Dallas Cowboys cornerback Chidobe Awuzie intercepts QB Jeff Driskel with an OBJ-esque play. Published: Dec. 31, 2017 at 01:41 p.m.
Dallas Cowboys cornerback Chidobe Awuzie has the ball thrown right to him as Philadelphia Eagles quarterback Nick Foles does not put enough on the pass to his wide receiver.